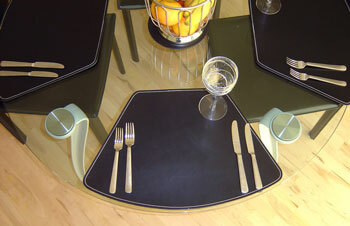 Designed especially for round tables to fill a niche market. The size will sit well on most tables between 110 and 160mm diameter. The illustrated mats are shown is in Black leather with contrasting stitching..